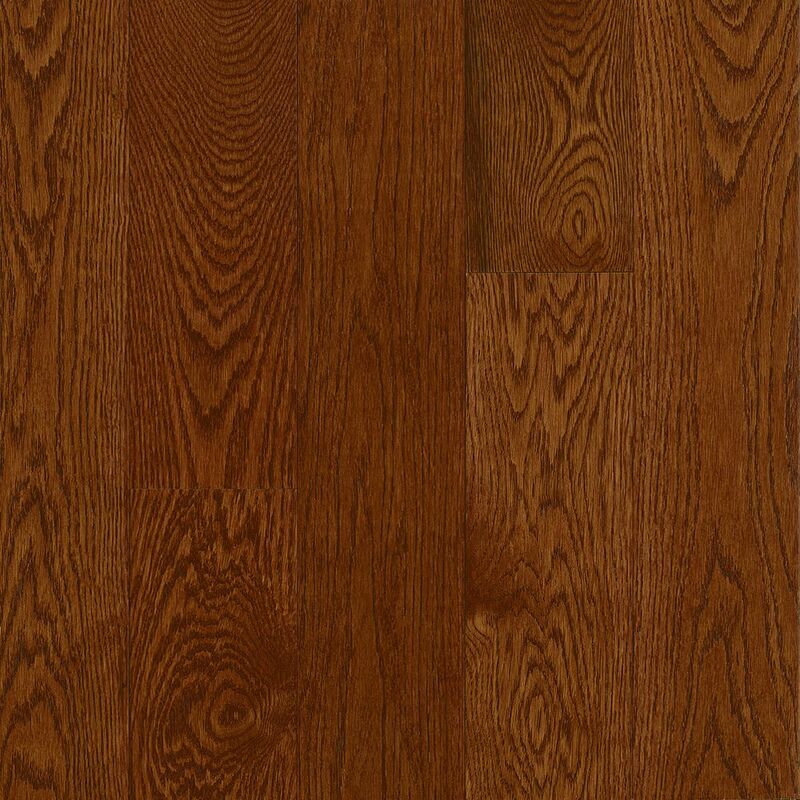 AO Oak Deep Russet 5/16-inch Thick x 2 1/4-inch W Hardwood Flooring (40 sq. ft. / case) is rated 2.8 out of 5 by 4. Rated 1 out of 5 by Umair123 from Bad Quality, Got dents and scratches in 2 months Surprised to see the quality of this " Hardwood" fllor. Got scratches and dents and some corners broke within 2 months. It was normal use, no pets. It was installed in november and as of today i was out of home for 2 months but still got many scratches and dents. Contacted company, they said its hardwood not a " steel". What a great reply. It was written on box " Scrach resistant" and " 30 years warranty". Rated 1 out of 5 by GeneO from Flimzy Product is too thin. Installer recommended that I not use it or add 3/4 inch additional subfloor and glue the flooding. The additional cost would have added $3/sq ft to the installation costs. There was also an issue that the tongue was difficult to slip into the groove. Rated 5 out of 5 by BrooklynDodger from Absolutely satisfied The "flooring" arrived before the expected date in good shape. We were trying something new. We needed a new door in the front of the house because the veneer was coming off even though the door was in relatively good shap for 50 years of use. We decided to try "veneering" using this 5/16" hardwood. The deep russet oak was a perfect, rich color and placed on the door looked rich and beautiful. We put 3 coats of polyurethane on it for protection from the elements and it added a richer quality as well. Very satisfied! Rated 4 out of 5 by SDAW from Wood flooring for a barreled tub ceiling I assumed the planks would be a standard length. They are random with the majority of them being 10" - 16". The finish and color were both nice and the tongue and grooves fit together nicely.